Do you feel a little healthier after drawing vegetables for a week? I hope you at least feel healthier because you took the time to do something that was important to you and your well-being. After two weeks, I hope drawing is still feeling fun and exciting! Or perhaps it might be time to start exercising some grit to maintain the habit. KEEP UP THE GOOD WORK! This week try seizing time opportunities. Plan to draw during the time you set aside, but if another opportunity arises in which you can make art, seize it! Draw for 10-15 minutes this week. If youare starting to fall out of the habit, DON’T get yourself down, but DO identify what it was that made you NOT draw that day. We’re going to spend some time working on overcoming the obstacles that keep us from doing what we set out to do: practice creativity daily. They say breakfast is the most important meal of the day. Well, creativity is a very important part of your life! And definitely one of the most fun. 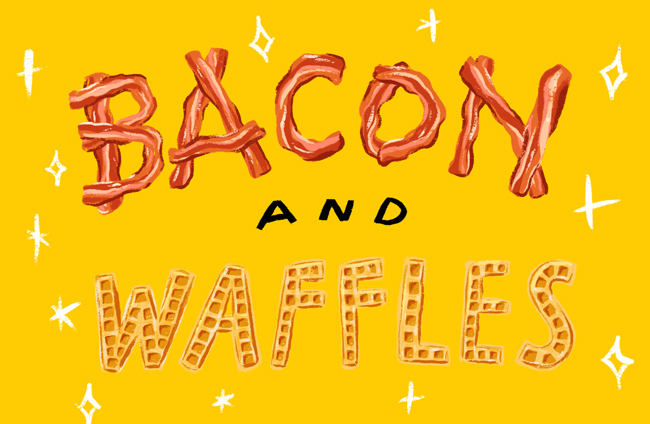 Let’s draw some classic breakfast foods this week. We’ve got a Facebook Group full of amazingly supportive artists, from all skill levels.